Even if you nailed the perfect Valentine’s Day gift for your girlOpens a New Window., you know you’ve still got to get her flowers, too, right? 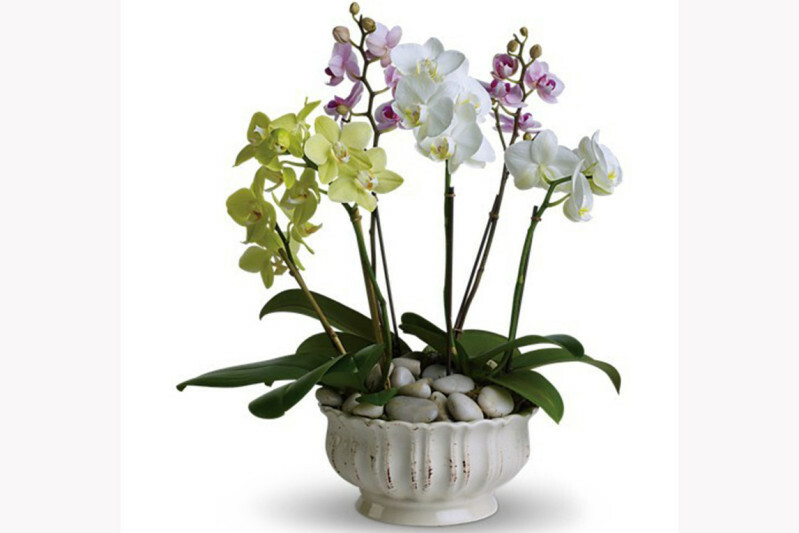 Instead of another stop on your mad rush home from work on February 14, simply go online and order one of these four great delivery flowers for Valentine’s Day. 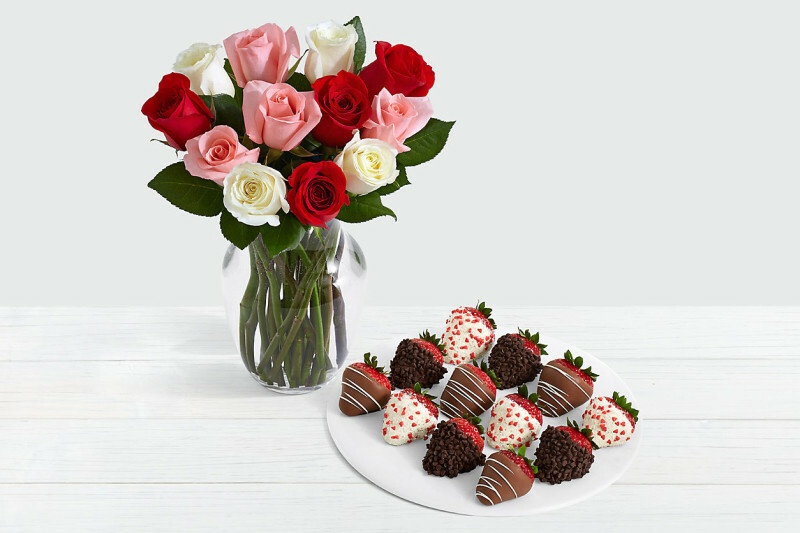 Cut, shipped, and packed within days, these long-stemmed roses will remain bold and beautiful for at least 7 days—guaranteed. 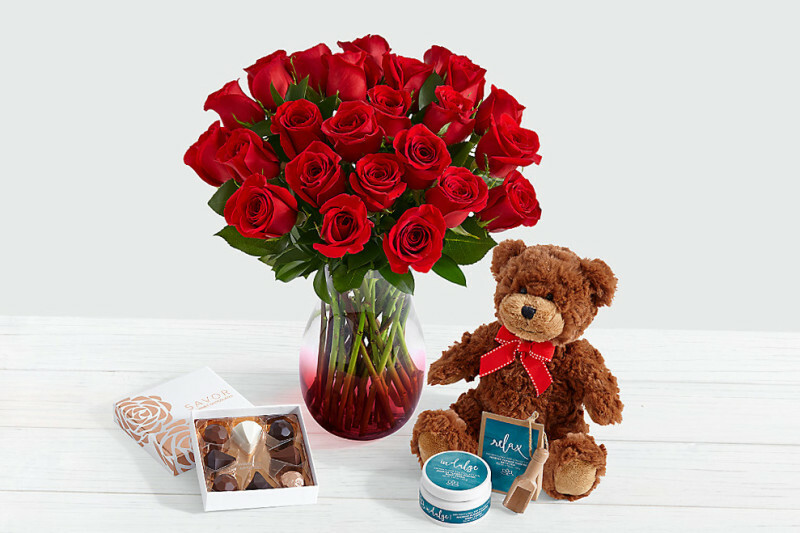 Includes ombre vase, chocolates, teddy bear, and mini-spa set. 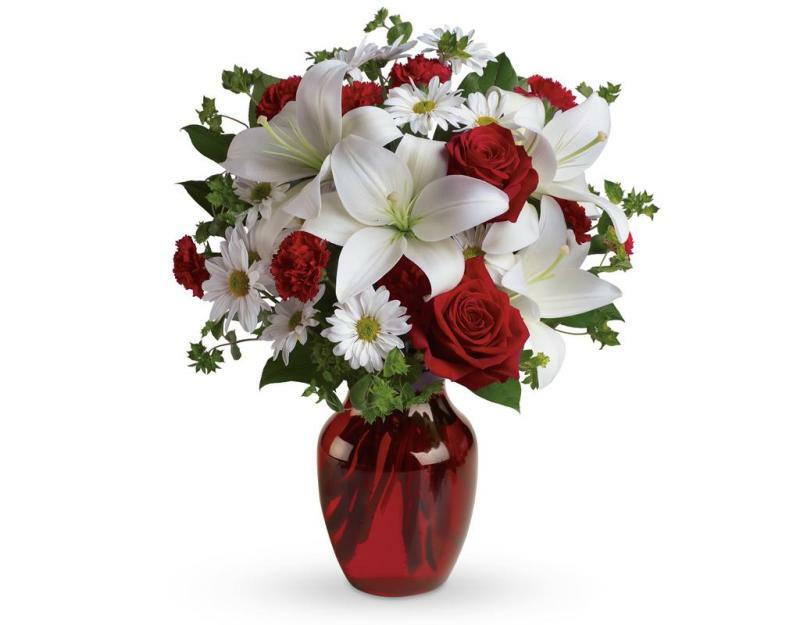 Red roses, white asiatic lilies, white daisy spray chrysanthemums, mini red carnations and sprigs of bupleurum and salal are presented in a graceful red glass vase. 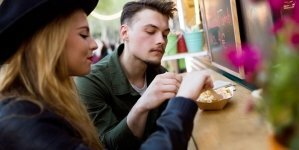 FREE shipping and 15% off with code LOVEBULK.